Bike to Work Day 2019! 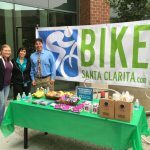 This friendly competition is among businesses in the City of Santa Clarita to see which employer can get the most employees to bike to work on Thursday, May 16, 2019. This event will take place during Bike Week Santa Clarita, which will include several bike related events. On Bike to Work Day, five bicycle pit stops will be available for the cyclists. Santa Clarita Transit and Metrolink are offering FREE rides for anyone on local routes that have their bike and/or helmet. That way you can complete your commute, even from a distance! Also, riders will have the opportunity to receive prizes! Be part of the solution and pledge to bike to work. Click below to register your business to participate and pledge as a rider. Bicycling reduces traffic, keeps our air clean, improves your health, and saves you money on gas! Call (661) 286-4098 if you have any additional questions. Businesses should designate a “lead rider” who will be responsible for registering their business, encouraging co-workers to ride, and act as the point of contact. Each lead rider is required to submit a list of cyclists who rides on May 16, 2019, to Laura Jardine at ljardine@santa-clarita.com or by pledging each rider online (above). These names will be entered into the City’s raffle for prizes. The prizes include KHS bicycles, gift certificates, quality cycling gear, movie tickets, and more. All Challenge participants are eligible for the City’s raffle and prizes. 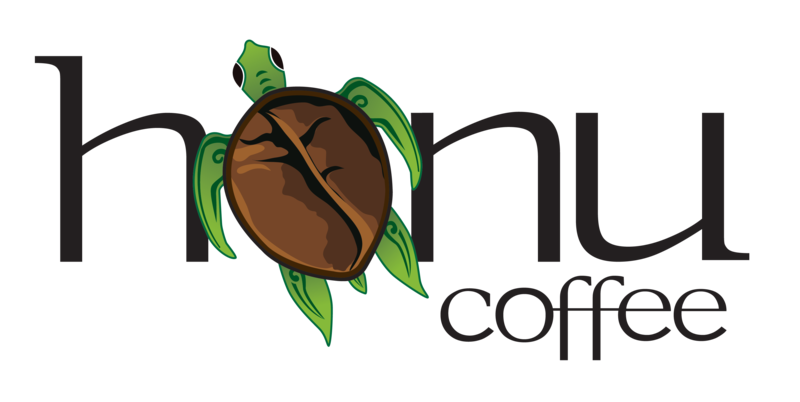 To register your business with the City please click the business button above or call (661) 286-4098. All participating cyclists, including individuals not on a business team, are also eligible to win great prizes from Los Angeles Metro (Metro) including gift certificates, bike accessories, and more. By pledging to ride on Metro’s Website and biking to work on May 16, 2019, you will be eligible to win prizes from Metro in addition to the City raffle prizes. Link for Metro coming soon. 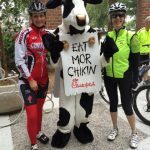 Stop by the City’s Co-Sponsored Bicycle Pit Stops! KHS manufactures road, track, mountain, tandem, folding, cruiser, and youth bicycles. Call the City at (661) 286-4098 with additional questions or to participate!